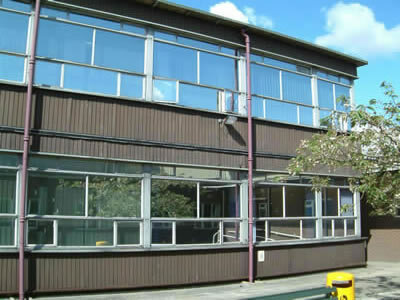 Strata Commercial – Strata has been undertaking PVCu, Aluminum and Hardwood windows, doors, shop fronts and curtain walling projects to the commercial sector for more than 15 years. 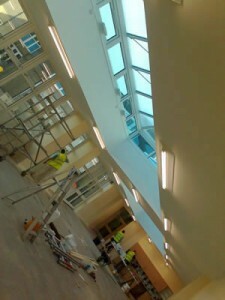 With a large client base and a strong reputation in both the public and private sector, your project is in safe hands with Strata Commercial.! 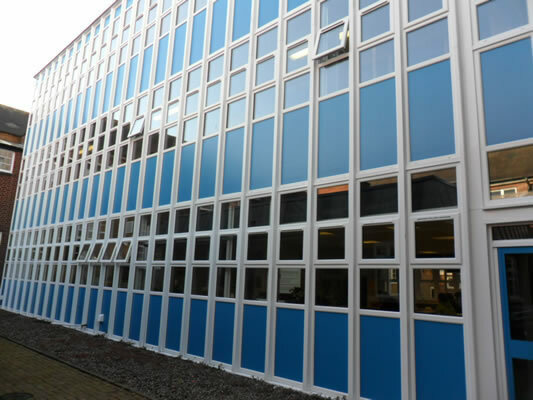 Strata Commercial – With our skills and experience throughout the industry we know that we provide the highest standard of service that our client is trying to achieve no matter what the size of project. 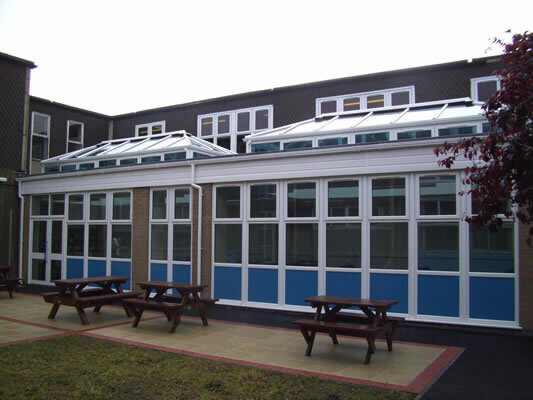 We provide full back up and service throughout any project from initial enquiry to completion. 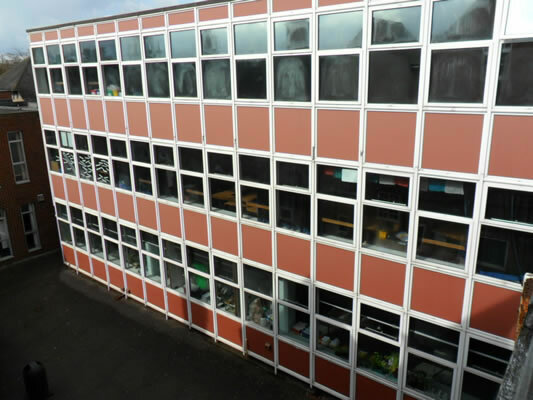 We have built a reputation for excellence of which we are very proud, with recommendations from our clients, architects, building and county surveyors. 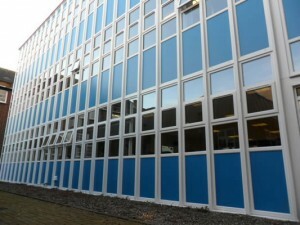 Strata Commercial work together with our clients to provide the best designs and value for money. 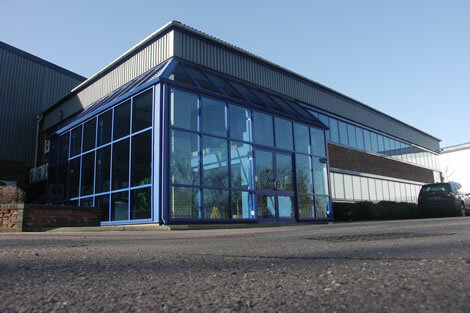 Over time Strata Commercial have built a large client base in all areas of the commercial sector including education, police, health authorities, the retail industry and housing associations to name a few, most of which on a regular basis, this is due to the high level of quality we provide, and as members of CHAS and construction line we have a very strong backing. Strata staff from management to installer are C.S.C.S members and have C.R.B clearance. 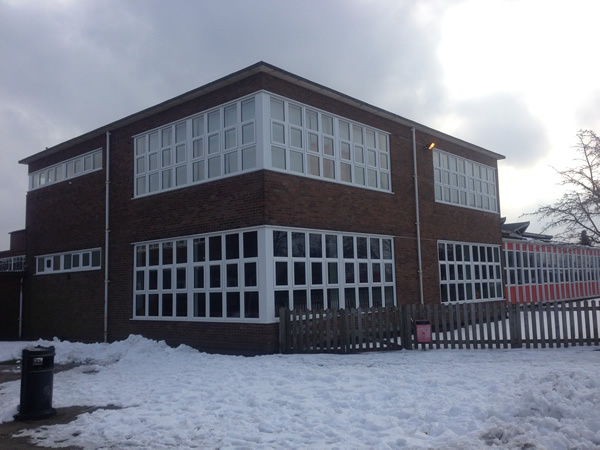 THE BRIEF: White Upvc (Rehau) curtain walling to school science block. 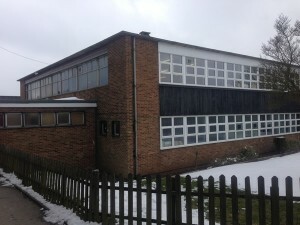 All elevations including courtyard. 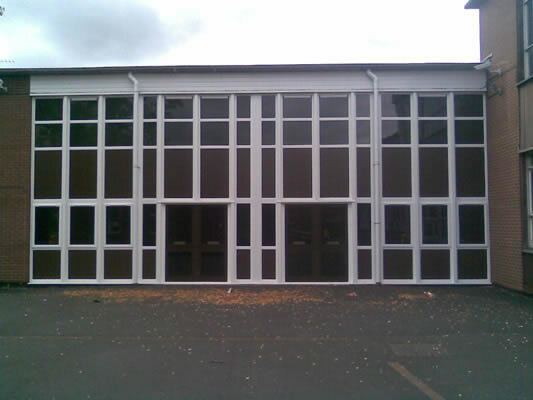 Structural steel coupling system used clad in Upvc to suit frames. 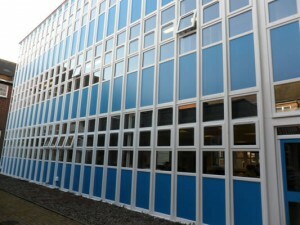 Thermally efficient insulated panels installed. 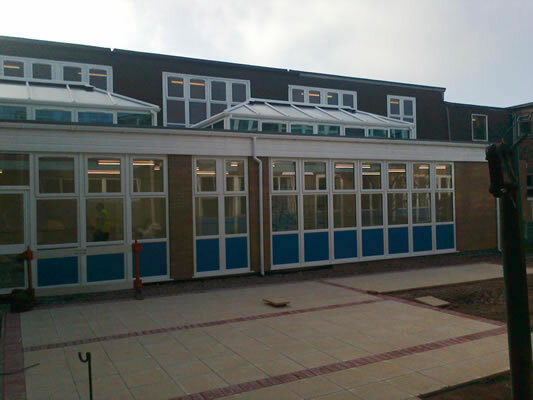 THE BRIEF: Installation of White Upvc (Rehau) Orangery to enclose main entrance area. Two glazed atrium style lantern roofs installed with highly energy efficient glass. 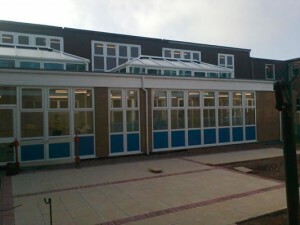 High level casements fitted with automated openers for ease of operation. 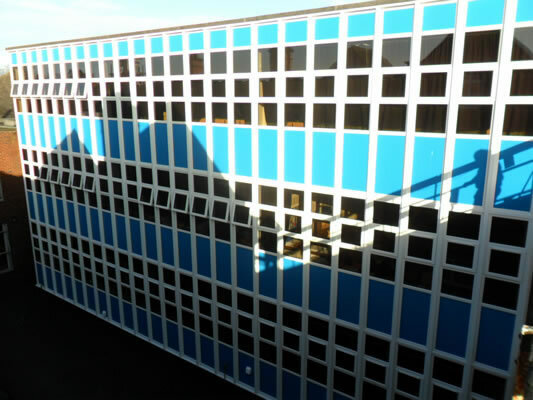 loading calculations to give maximum structural integrity. 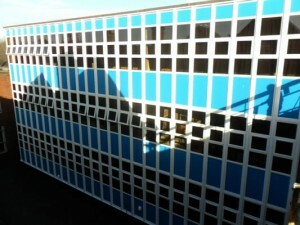 All underside frames were coupled using necessary wind. 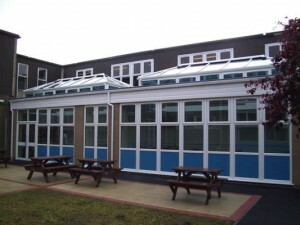 The flat roof area around the lanterns is a Glass reinforced Plastic coating (GRP). 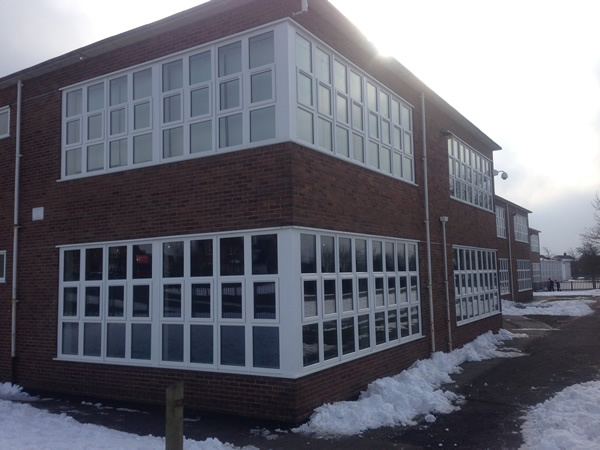 THE BRIEF: Installation of White Upvc (Rehau) windows and Aluminium doorsets. 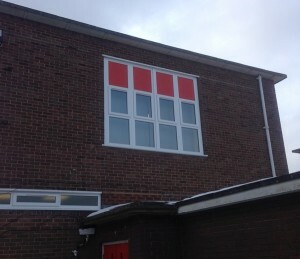 All elevations of the school required window and door upgrades. 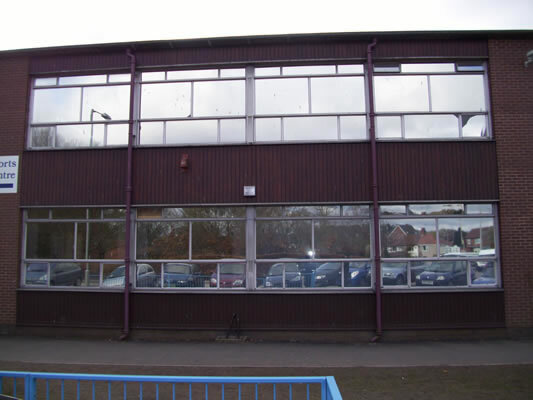 Strata took on the installation after being approached by the Staffordshire County Council surveyors who insisted that Strata complete the installation as they felt that this would be the better option as far as H&S / capability was concerned. THE BRIEF: Installation of White Upvc Windows (Rehau). 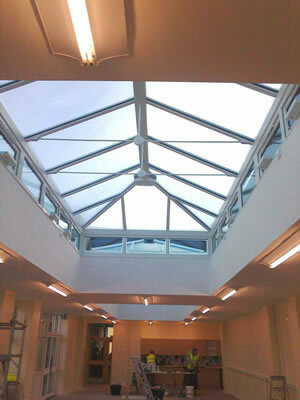 Shaped frames were required on this installation due to the roof being located directly above. 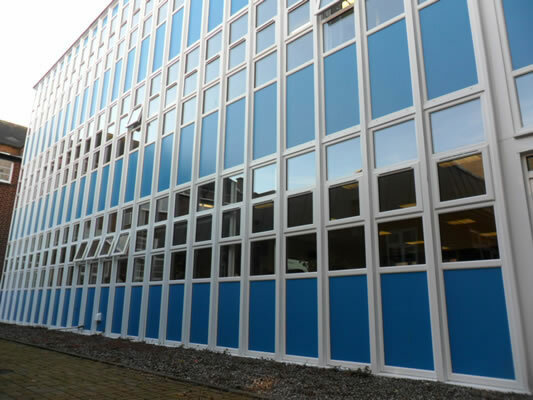 The overall approximate length of window runs was 25 metres that required critical and accurate site measurements in order to facilitate the and exact fit. 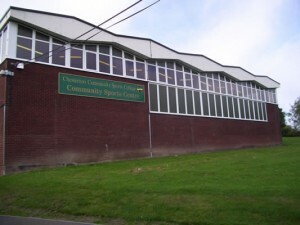 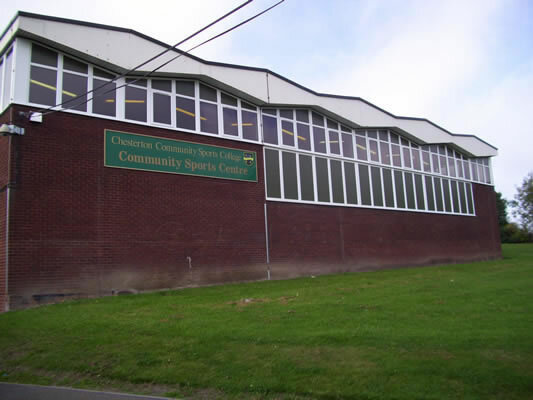 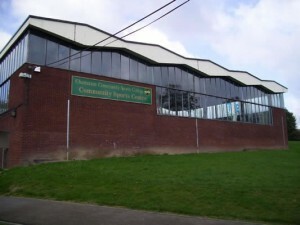 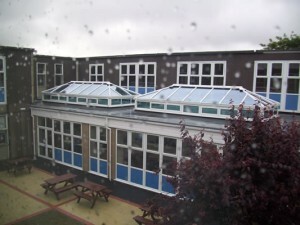 The installation was located within the main swimming pool area so Health and safety issues were paramount in particular. 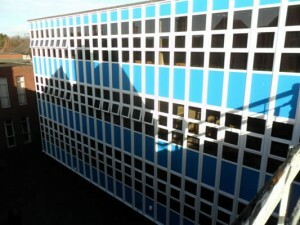 Anti Sun glass was installed to reduce the glare and reflection into the pool area. 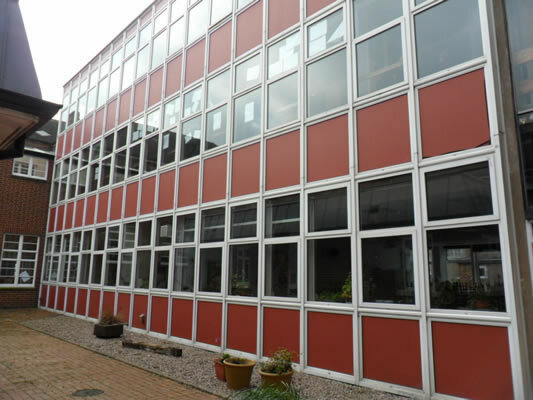 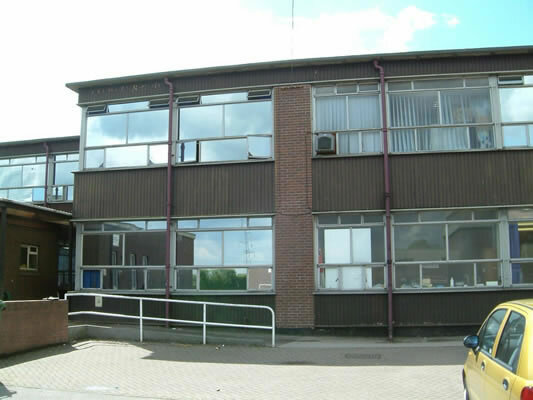 THE BRIEF: Removal of single glazed aluminium windows and doors. 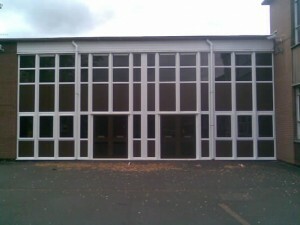 Installation of White Upvc (Rehau) Curtain Walling and Aluminium doors. 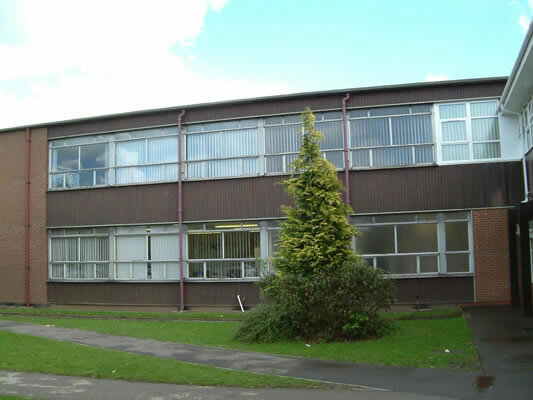 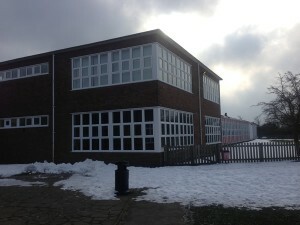 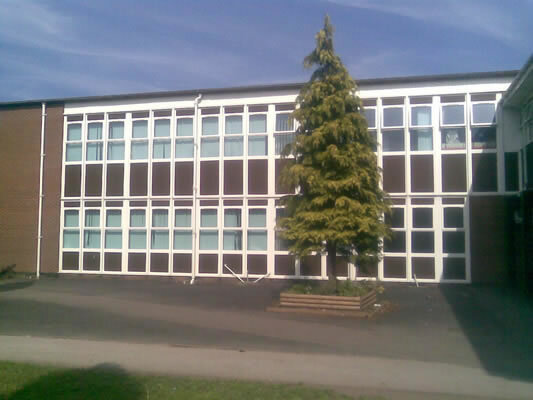 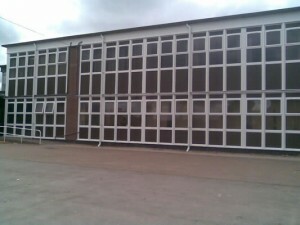 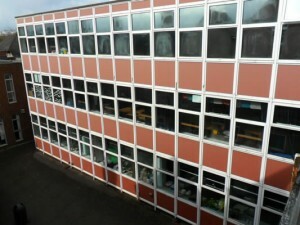 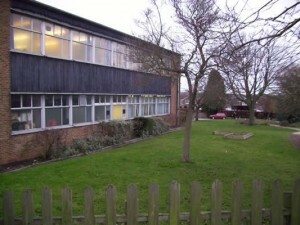 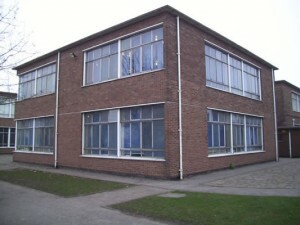 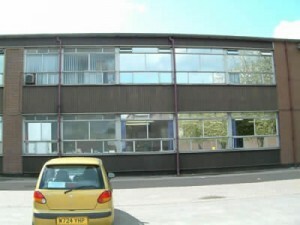 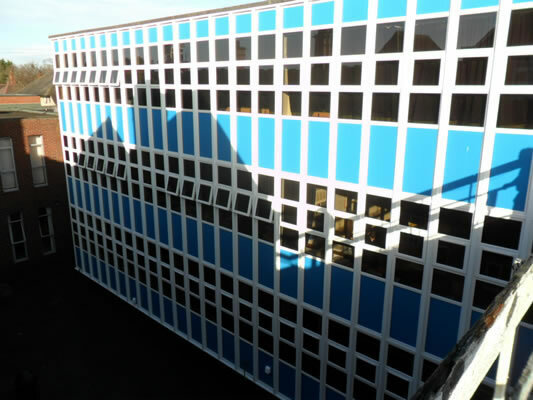 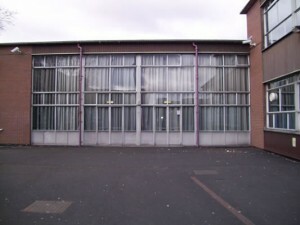 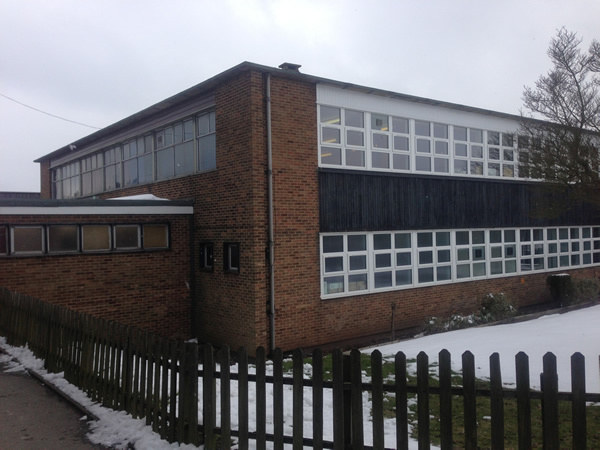 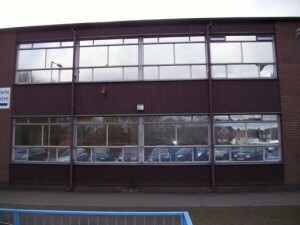 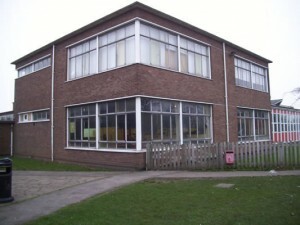 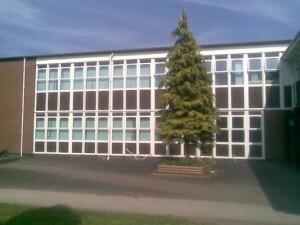 Highly energy efficient glazing was installed to greatly increase the efficiency of the classrooms. 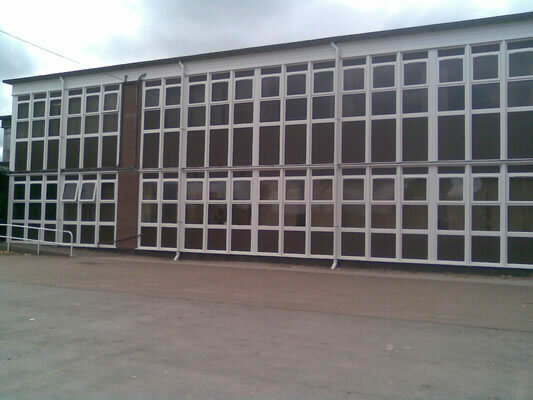 All Curtain Walling was installed using the Structural steel coupling system to give maximum ridgidity and strength. 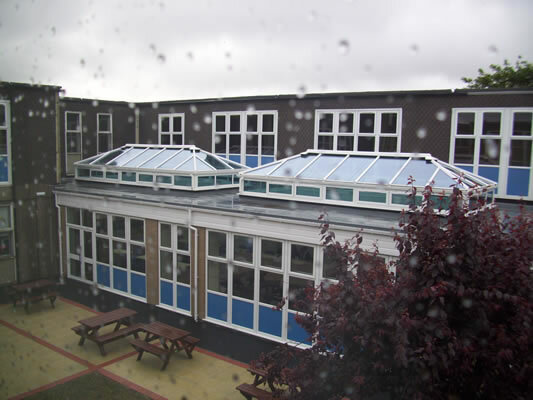 Insulated panels, colour co ordinated to school colours were installed.